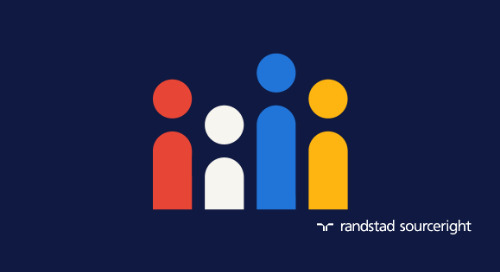 Home » Randstad Sourceright Insights » talent analytics: a mindset for results, a focus on the future. 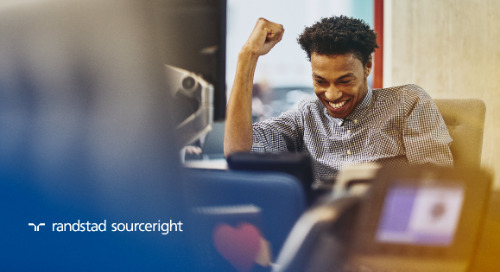 Recent HR technology innovations provide companies with an unprecedented opportunity to create meaningful intelligence and better compete for talent. This area of innovation is known as talent analytics. It offers much promise, but many organizations have yet to adopt analytics to help drive their talent acquisition strategies and recruiting practices. Standing in the way of adoption is a very clear dilemma: Decision-makers have an overabundance of data and are unable to gain the real insights needed to manage their businesses effectively. Like the old saying “can’t see the forest for the trees,” the amount of data available is often overwhelming, and it creates, rather than reduces, overall complexity. Today’s talent acquisition and HR leaders typically have access to dozens of reports from their applicant tracking systems (ATS), candidate relationship management (CRM) systems, digital interviewing technologies, advertising platforms, and Human Resource Information Systems (HRIS). In fact, the volume and variety of available reports are tremendous, but what does all this information really mean? 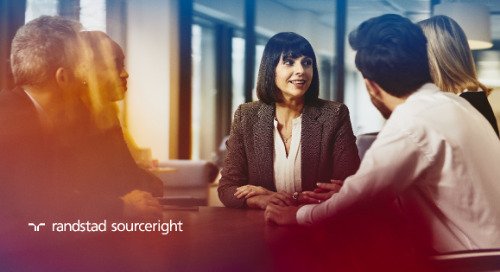 The disconnect between collecting data, understanding data and turning masses of raw information into meaningful intelligence is a continuing challenge in talent acquisition. Applying analytics in a way that delivers real human intelligence demands a practical approach, and success requires both innovative technology and a mindset for driving results. 1. actionable information requires context. The most advanced analytics systems compare historical information directly with new, emerging data and report the results in a way that visually conveys immediate meaning. A data point can be a great source of business intelligence, or it can be a piece of raw, static information. Here’s an example: consider a simple figure: 35%. What does 35% mean? On its own, it’s just a number. If it is the proportion of questions answered successfully on an exam, the test taker is likely to fail the course. If it’s the average ratio of hits to at-bats in professional baseball, the player is likely to land a large contract at the next signing day. Context makes all the difference. In every facet of business, hard numbers mean nothing without context, and talent acquisition is no exception. If an analytics system delivers detailed data on even the most basic measures of performance, such as time to fill, that data is only useful if it is placed in the context of other, related data. This is where advances in technology come into play. The most advanced analytics systems can draw from a wide range of existing data sources. They can compare historical information directly with new, emerging data and report the results in a way that visually conveys immediate meaning. For example, if you found out that a recruiting organization filled 150 requisitions for a particular company last month, what would you think? Most people would attempt to apply their own context. In a large organization, 150 hires may seem small and unimpressive. 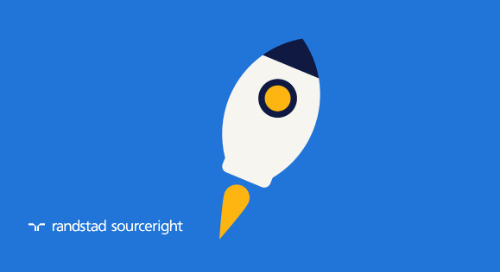 Coming from a small organization of one or two recruiters, 150 hires may seem extraordinary. Now, add context to that same discussion. If you knew that the same organization filled 130 requisitions the previous month, it becomes clear that there is an upward trajectory: 150 is good. If we add that the target communicated to internal customers was 160, the picture would be further clarified. Even though we are making progress, we are not quite on target yet. With each layer of context incorporated by an analytics function, the ability to solve problems and improve results is significantly improved. Applying context to data is both a technology and human function. Technology can feed the additional data points to provide a bigger picture, but the interpretation and determined implications can only be derived by human intelligence. People with expertise in this area define what is tracked and the thresholds for alerts; these choices require a broader understanding of what matters to the organization. There’s an inherent need for flexibility and diligence to review and adjust in order to optimize. human driven questions for talent analytics success. context - Metrics must indicate good performance. Is the number being reported good or bad? Context helps provide the answer. predictive intelligence - How do you link current and historic data to future outcomes that are unique to your business? link to business decisions - Process activities drive business outcomes, but how do we track both so that we can improve results? problem-solving capabilities - How do you pinpoint data that changes what you do today to improve outcomes and performance tomorrow? 2. know why you’re measuring. 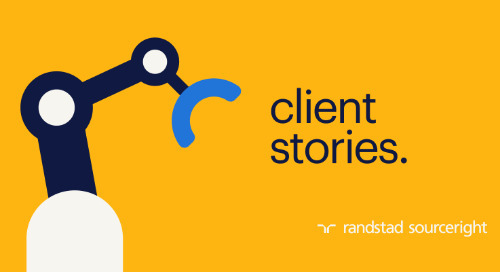 In a recent research study, Randstad Sourceright surveyed hundreds of senior talent decision-makers around the world and conducted in-depth interviews with more than 80 business leaders. The results indicate a shift in the perceived challenges faced by HR. Another respondent observed, “People are not numbers, but you need numbers to make your decisions and to run your business.” These views reflect a common concern about the most difficult aspects of analytics — capturing strategic intelligence. This underscores the challenge of analytics. To achieve context, one must know the reasons for measuring. Generally, talent analytics fall into three categories: operational analytics, predictive analytics and business outcome indicators. Let’s first look at operational analytics. These typically center around job requisitions, the candidate funnel and supplier performance. They are basic and essential to effective talent acquisition. In talent acquisition today, a system can recognize figures in context and raise a red flag on anything from the number of aging requisitions for a particular position to the ratio of submitted candidates to interviews. Based on this data, an organization can pinpoint issues in the process quickly and take measures to address them. 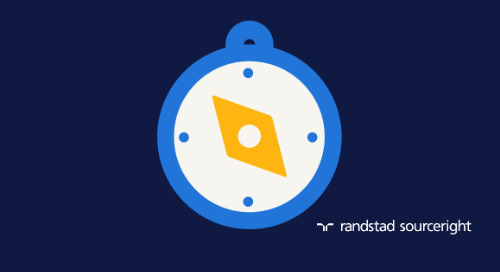 Operational analytics are vital to performance and a good reason to measure items such as time to fill. In today’s analytics environment, tracking performance can be more than a “report card” function. Due to dynamic data collection and analysis, organizations can plan and intervene in the process as needed, with a full understanding of the implications. 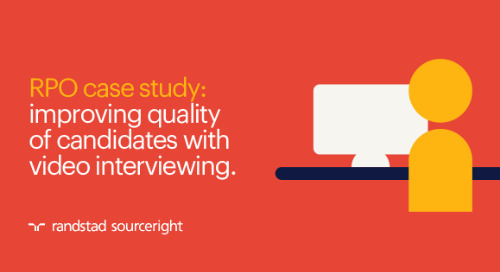 Sourcing strategies for recruitment are a great example of that capability. Consider the many measurable activities that apply to a recruiter’s job: the number of calls made, resumes entered into the database, candidates submitted to the hiring manager or candidates interviewed — just to name a few. The true performance outcome a company is looking to achieve is, however, much simpler: number of hires. An analytics mindset does not dismiss the measures of activity. This is what today’s advanced technologies can capture. The challenge is to set up the relationship between that activity and the result. The complexity comes from the fact that the recruiter does not own all of the activity that drives the result. In establishing goals and thresholds for performance, an effective approach begins with the outcome and works backwards. 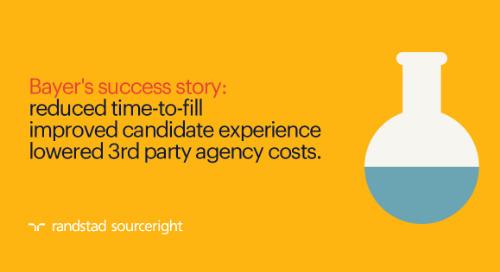 With an understanding of how the right performance metrics contribute to a successful hire, the talent acquisition function can set meaningful recruiting goals. Using that knowledge, the analytics technology can be applied to track activity, improve in certain areas and boost predictive capability for future workforce plans. This leads to a step forward from operational metrics to predictive analytics. Rather than simply looking at what has happened, we can apply historical data and focused algorithms to help us see the road ahead. Being predictive requires a quality set of operational data, and an advanced level of technical and statistical sophistication. getting strategic: types of talent analytics. 3. real intelligence is predictive. 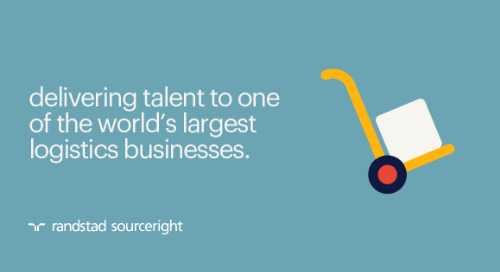 “Will our business have the skills and capacity to deliver the products and services we plan to sell?” Talent decision-makers who can answer this question will have the attention of leadership across the company. 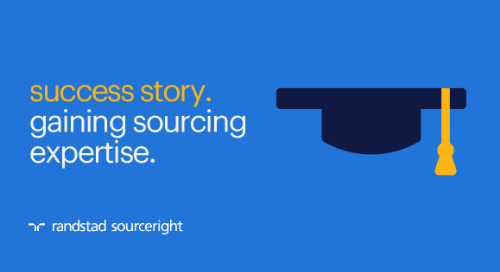 Talent analytics open the door to a true predictive capability. With access to historical data and the focused application of statistical algorithms, talent leaders produce hiring timelines and projections as well as attrition forecasting — answering many critical questions that drive a company’s future success. These measures can provide substantial value in helping companies navigate everything from planned product releases to openings in new locations, expansion of operations or any other talent-dependent strategic initiative. A truly predictive workforce planning capability can be achieved when an analytics technology integrates information from multiple mature data sources. Maturity of data is an important driver of predictive capability. Very simply, the more consistent and trustworthy the data available for a given measure, the more accurate the forecast. In complex operations, the ability to draw information from multiple sources is just as important. A mature data set includes extensive and consistent information from multiple sources. While many technology vendors and solutions providers claim to deliver predictive analytics, it is important to understand that a truly predictive capability requires human oversight to evolve that mature data set. It also requires the technology expertise to translate it into meaningful intelligence. In other words, predictive analyticmalaria ms are real, and are here to stay, but don’t assume that technology alone will bring real meaning. In fact, the need for data science expertise and active, continuous human involvement in talent analytics strategies is often overlooked. Finding the people with a cross-section of experience in data science and talent acquisition is currently the biggest obstacle to an effective long-term analytics strategy. This will likely continue to be a top challenge in the future, although forward-thinking organizations will increasingly adopt creative solutions to drive analytics success. It may be possible for organizations to succeed by hiring in-house experts to drive data innovation in collaboration with talent leadership. 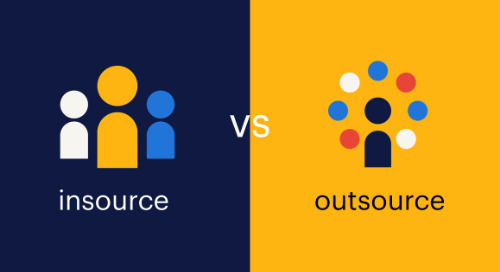 More likely, however, organizations will leverage technology and talent solutions providers with dedicated operations that integrate both data science and talent acquisition expertise. 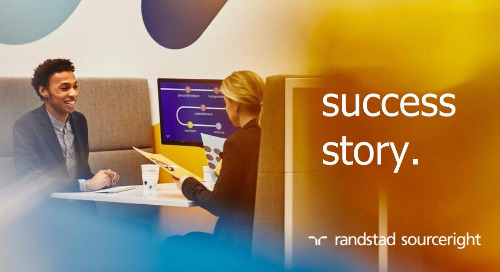 The result of this approach is a strategy that ensures continuous innovation and the level of statistical sophistication to drive talent intelligence at both operational and strategic levels. getting predictive: keys to forward-looking talent analytics. 4. a new era of problem-solving capabilities. A related feature of advanced analytics is the opportunity to use data to pinpoint and solve performance issues. This is where some of the most exciting innovations are taking place through the combined efforts of experts in talent strategy and data analysis. An example of one such application is an approach that borrows from the medical field. 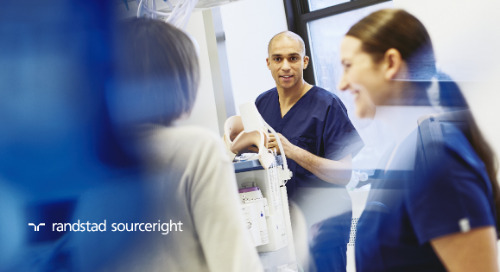 This approach is based on a process, called “survival analysis,” that enables doctors to predict with increasing accuracy the factors that most influence a patient’s ability to survive an illness. How does this relate to talent acquisition and recruiting operations? 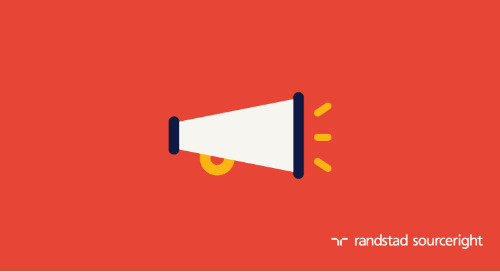 The process takes the factors that contribute to recruiting — such as recruiter skills, location, time of year, type of position and hiring manager involvement — and applies them to the history of positions being filled. Using this information, the process pinpoints best- and worst-case outcomes for speed and quality of result. This analysis can then be applied to help decision-makers make informed plans that maximize recruiting results, in terms of speed and quality, when filling new positions. The strength of approach is that it focuses on the true advantage that an advanced analytics process can yield. It is predictive. It becomes more accurate as it “learns” from new data over time, and it enables informed planning and actions based on outcomes, not process. 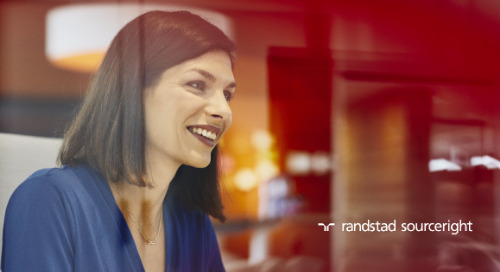 This is an exciting analytics application for talent acquisition, and there are many opportunities to bring in new perspectives and techniques to drive results. It requires a knowledge that extends into recruiting, but looks outside at all aspects of analytics. It is a true example of innovation in action and part of the mindset that can deliver the human intelligence advantage for any company. Can an Excel sheet or a traditional reporting system deliver the same results? In a word: no. Understanding data and context, connecting data and business results, reaching for predictive capability, focusing on problem-solving — these are the essentials of any analytics strategy that yields business impact. Each is a conversation that happens outside of the “features and functions” topics that drive technology decisions. None of these areas, however, are relevant if an organization cannot leverage the right solutions and tools to support the process. With this in mind, a technology partner with the right tools and expertise can provide significant value. 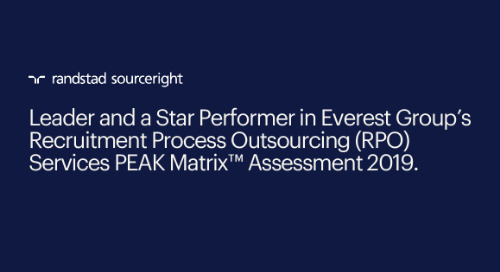 They can help you transform reactive recruiting into a strategic, predictive, self-improving process that yields better talent, more quickly and in line with business priorities. What makes the right technology? In most cases today, flexibility, ease of use, visualization and predictive capability differentiate true people analytics from traditional reporting. Combined with the right perspective and expertise, today’s talent analytics tools offer significant opportunities. 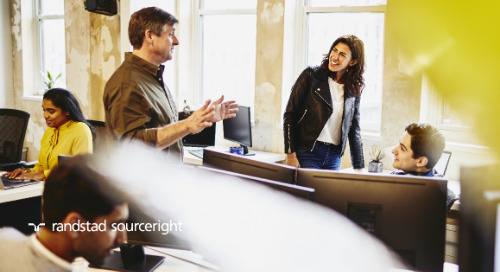 They can help you make improvements quickly and sustain long-term, data-driven learning processes that will drive your company ahead in a competitive talent environment. the technology equation: what drives an effective analytics platform? availability - An effective platform can pull data from multiple sources and deliver intelligence across mobile and traditional media. real-time analysis - Displaying information in context with click-through access to related data enables advanced decision-making. ease of use - Insights are only insightful if you can see and understand them. Intelligence requires actionable, easy-to-understand outputs for business leaders. problem-solving capabilities - What direction is your talent acquisition strategy taking, and how can you adjust for best results? Predictive intelligence can provide an informed answer. 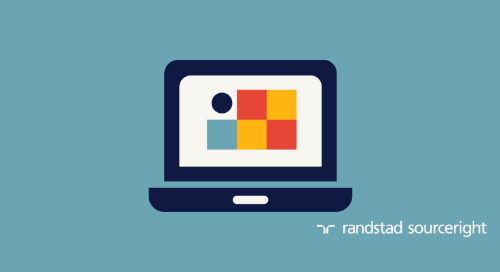 looking ahead: bringing a practical talent analytics strategy to life. A growing number of companies today are focusing on translating the promise of analytics into real, measurable business impact. They are realizing that the key to a successful strategy is a detailed understanding of needs, challenges and best practices. The talent analytics mindset will continue to be a force in driving progress. 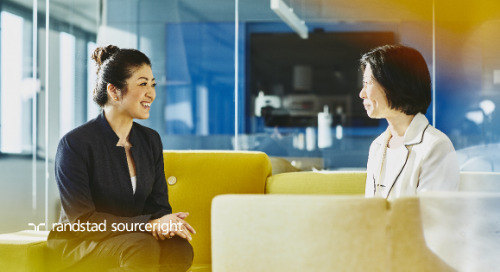 The technology, the data science expertise and a practical talent acquisition perspective is helping organizations achieve results today, and set a path to compete for talent tomorrow. If you'd like to learn more about the technologies and people that make talent analytics successful, contact us.